You have added Knit For You Black and Ivory Cardigan Sweater into shopping cart. 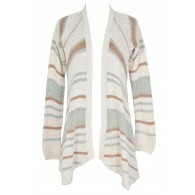 This knit cardigan sweater manages to be cozy and stylish at the same time. 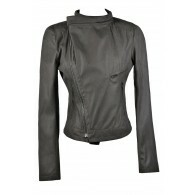 It has an open knit design in shades of ivory and black. 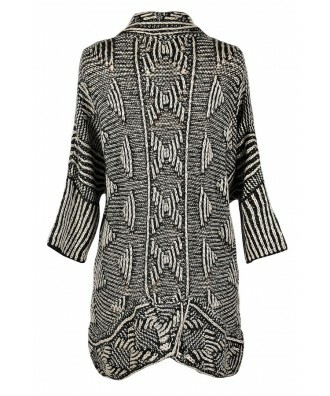 This sweater would look great worn over a fitted black or ivory cardigan and denim or skinnies and boots. Details: 100% acrylic. Hand wash cold. Do not bleach. Lay flat to dry. Iron low if needed. Small measurements: Length from top of shoulder to hemline: 32". 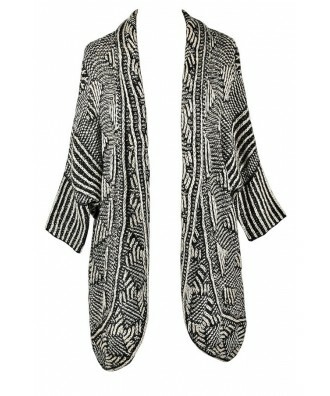 You have added Knit For You Black and Ivory Cardigan Sweater into Wishlist. You have added Knit For You Black and Ivory Cardigan Sweater for Stock Notification. 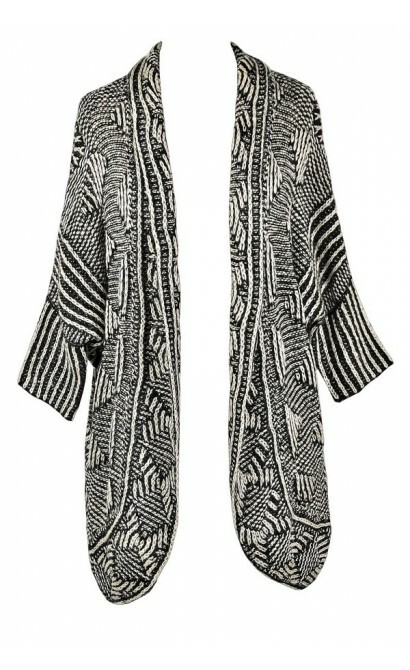 You have set Knit For You Black and Ivory Cardigan Sweater as a loved product. You have removed Knit For You Black and Ivory Cardigan Sweater as a loved product.